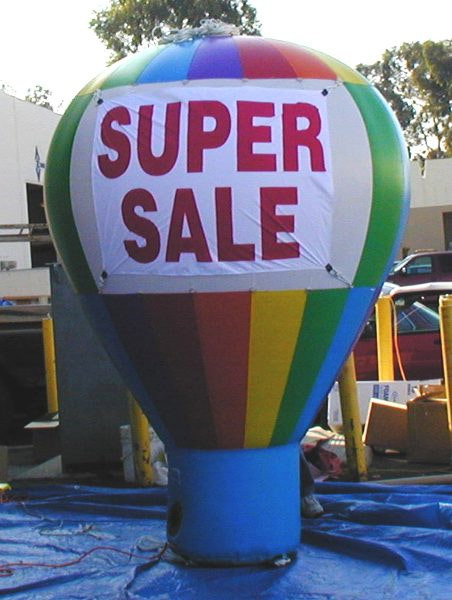 Why spend thousands on short-term billboard advertising when a one-time purchase can buy a giant inflatable display that you own for life? 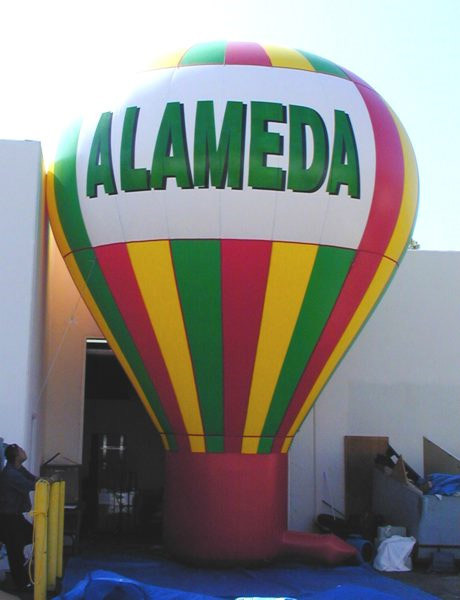 The classic shape of these giant balloons is a beloved symbol that reminds us of the romance of early flight. 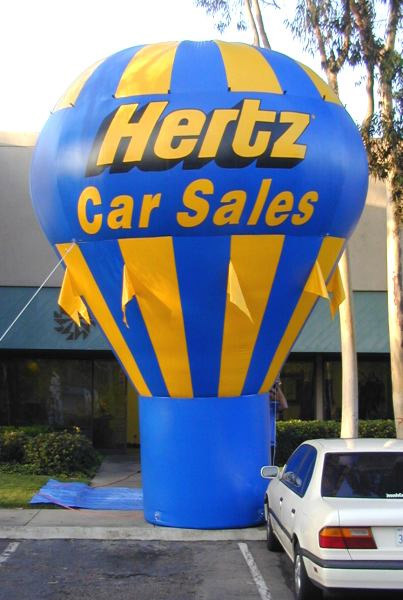 The graceful balloon is visible for miles around, achieving your advertising objective in a passive, non-intrusive way. Sewn with industrial double-needle stitched 1.5 oz. 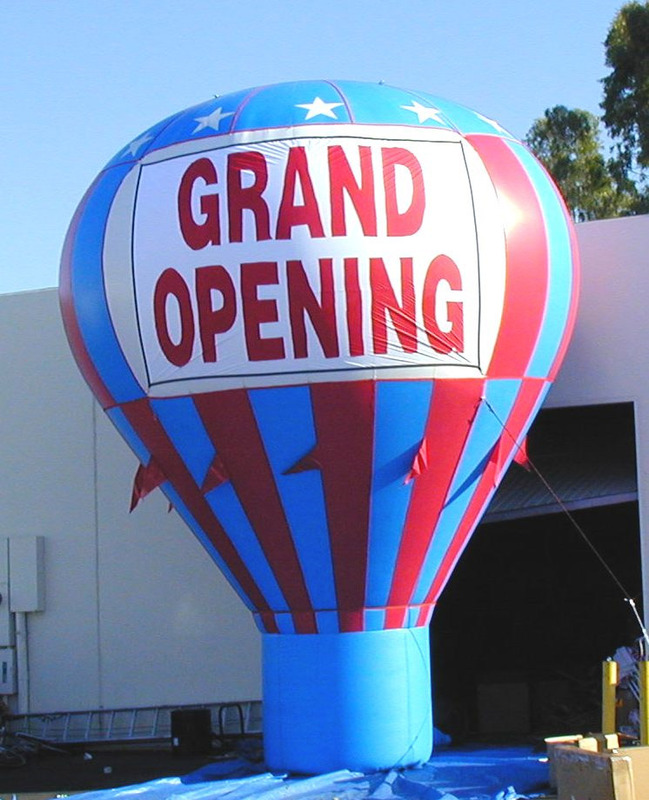 urethane coated nylon, the balloon will hold its classic shape for years to come. 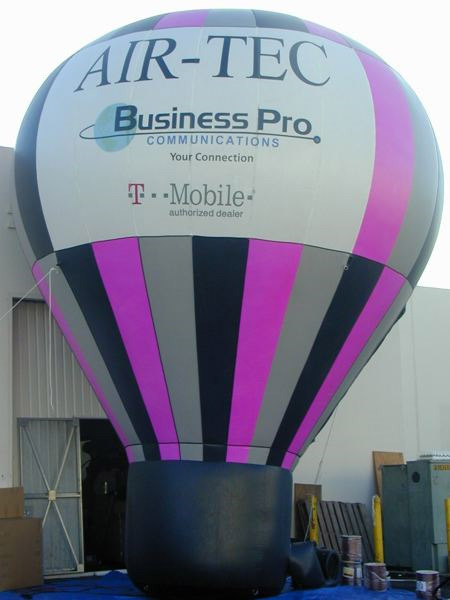 The high-performance fan rushes fresh air up and through the giant balloon, keeping it consistently filled. 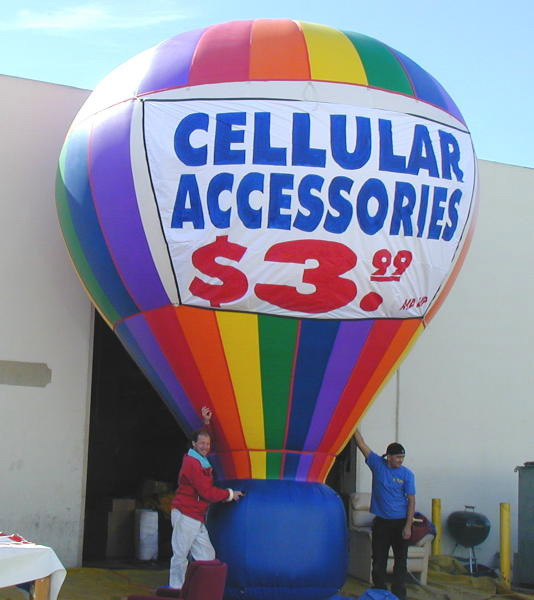 Available in sizes from 10' to 30' tall, each giant balloon comes as a complete kit with a custom printed banner, the high-performance inflation fan (110V or 220V) and a carrying case. 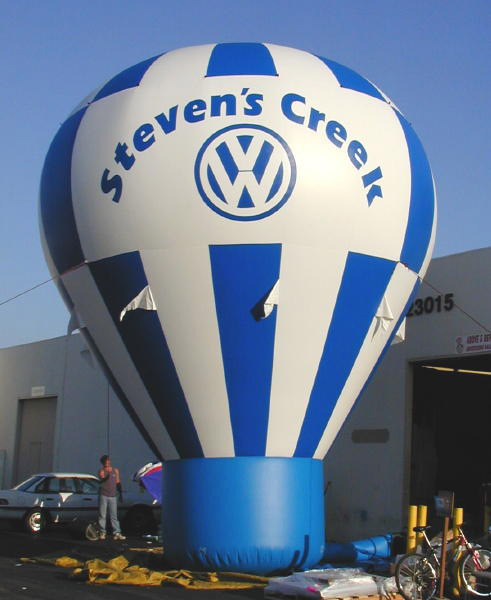 Sizes 20' through 30' include a lighting system. The entire kit can be placed in the trunk of a car. Sets up in minutes and will run continuously while powered. 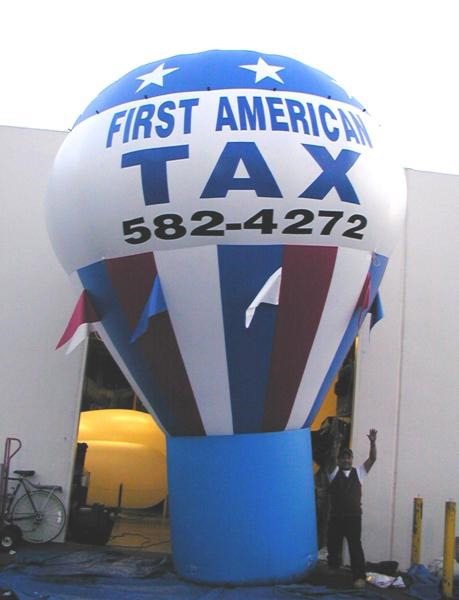 Click on any of the gallery images for a larger view. Pricing and ordering information shown below. 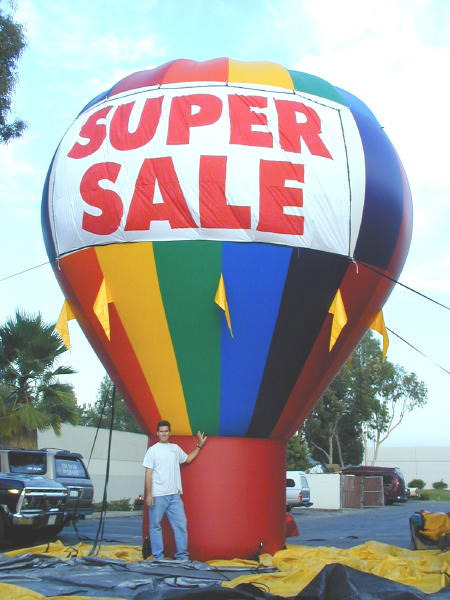 1W-HAB10 10' Tall Hot-Air Shaped 7.5 oz. 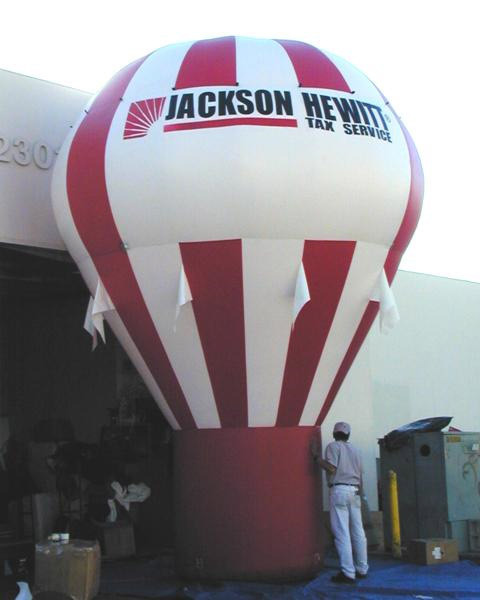 urethane coated nylon balloon and complete kit, including heavy-duty inflation fan. 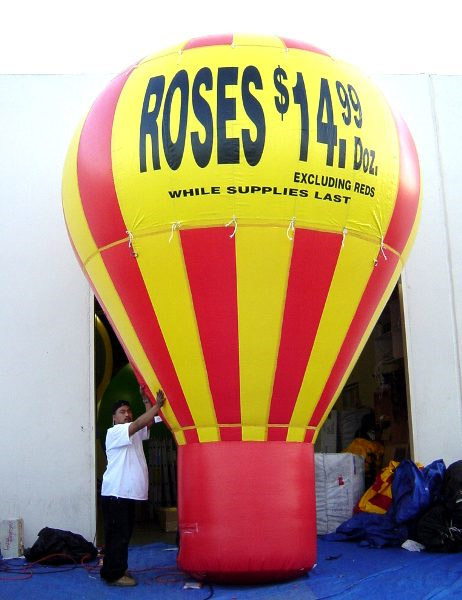 1W-HAB15 15' Tall Hot-Air Shaped 7.5 oz. 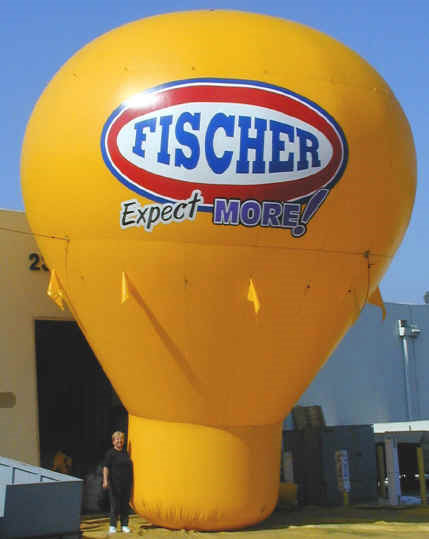 urethane coated nylon balloon and complete kit, including heavy-duty inflation fan. 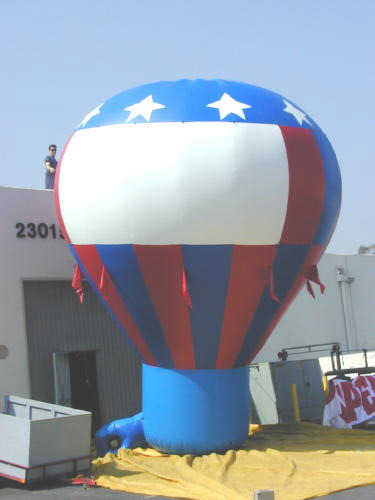 1W-HAB20 20' Tall Hot-Air Shaped 7.5 oz. 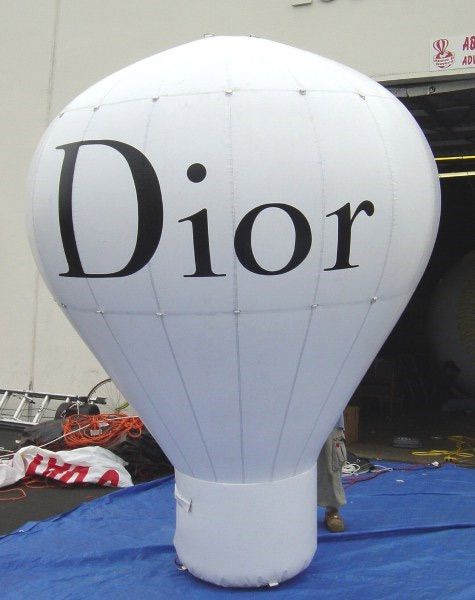 urethane coated nylon balloon and complete kit, including heavy-duty inflation fan and Lighting System. 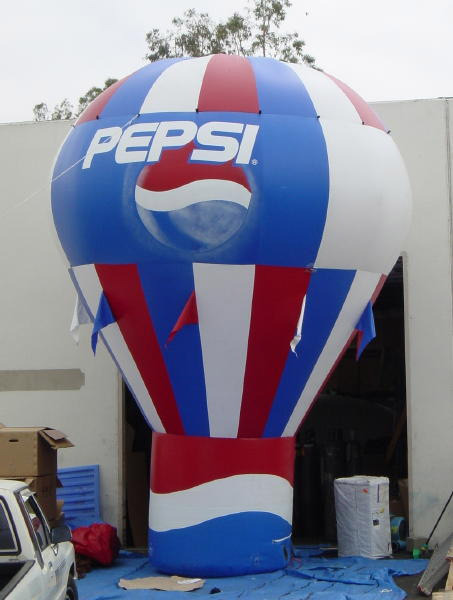 1W-HAB25 25' Tall Hot-Air Shaped 7.5 oz. 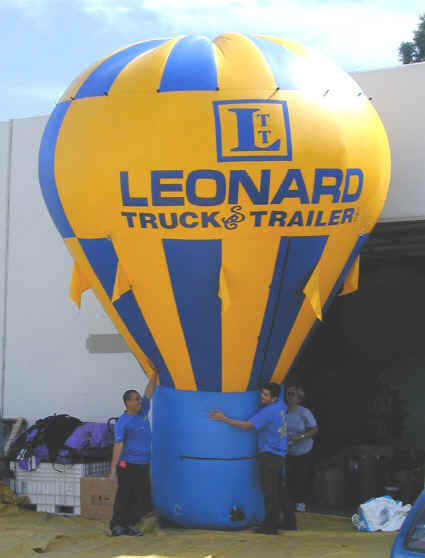 urethane coated nylon balloon and complete kit, including heavy-duty inflation fan and Lighting System. 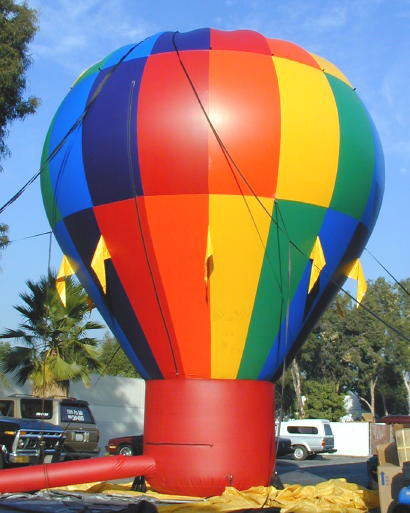 1W-HAB30 30' Tall Hot-Air Shaped 7.5 oz. 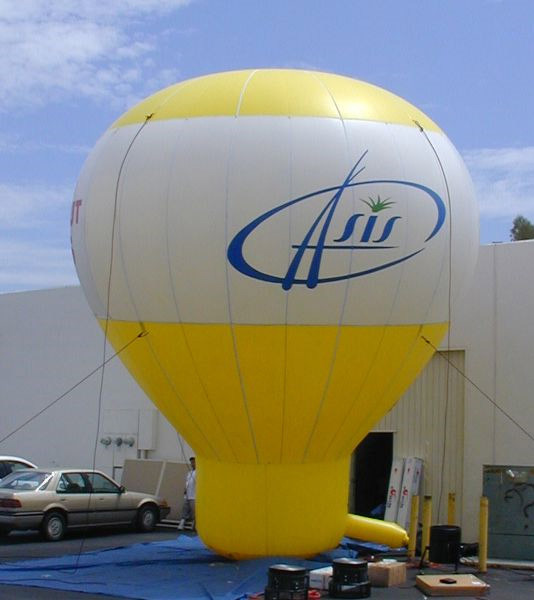 urethane coated nylon balloon and complete kit, including heavy-duty inflation fan and Lighting System.